The cooling effect that the air conditioners provides us may prove to be relaxing in the hot and humid weather conditions of the summer season. But the burn that the electricity bills gives us later on, makes us doubt our choice of whether we relaxed during those hours or actually added more to our worry! When we choose the air conditioning installers to install AC in our houses, the primary criteria that we look for is how efficiently it would cool our room rather than how efficient it is in energy saving mode. That is why in most of the cases people end up getting much high power bills which provides them reason enough to NOT use it the next season! Well, that is why this article is here to help you find the most eligible qualities in an AC which will not only increases the cooling effect but will also take care of the energy saving of your power supply and thereby lowering your electricity bills. The air conditioning Essex are experts in possessing air conditioners rich in below-mentioned qualities. 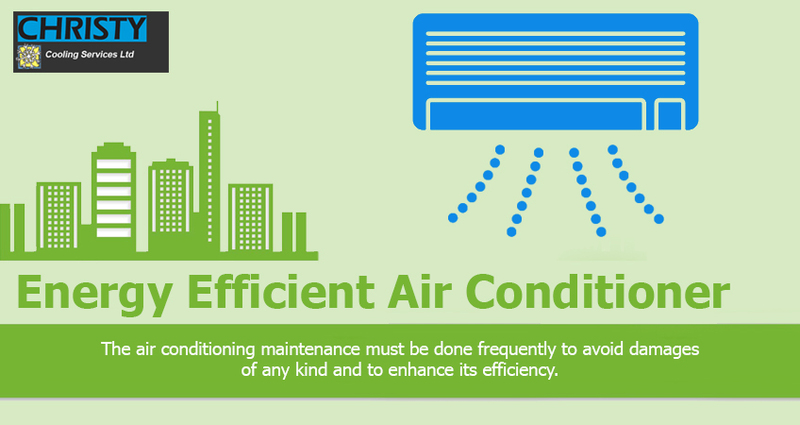 When an AC is certified by the energy star authorities, its efficiency in saving the energy must be perfect. When this blue certification is present in eh AC that signifies that it has left behind the other models without the certification in meeting the high standard energy efficiency conditions. Along with the energy star certification, the ratings of SEER and EER also play a significant part in deciding the energy efficiency of the air conditioners. They are measured in BTU units that depict efficiency ratings of the machine; higher the ratings, better the efficiency. Mainly functions as automated settings of turning down the compressor along with the fan of the machine when the room temperature reaches a saturation point of cooling. It is very effective in saving energy and thus, the air conditioner which possesses such settings can be considered as efficient energy savers. With the world being so modernized, why should the ACs lack behind? Hence, the smart ACs possess Wi-Fi connectivity, and the units of these type of ACs are so adjustable that they save the energy above normal levels. But these kinds of ACs function only when you possess Wi-Fi facilitated thermostat or devices such as Google assistant or Alexa to adjust and fine-tune the AC without any hassle. When the AC you buy has programmable settings in the remote control, it allows you to set timers or a certain level of fixed temperature when you turn it on. That way either it switches off the AC in the adjusted time or balances the temperature to save the energy. Obviously large sized ACs uses more power than the medium or small sized one; which people generally don’t agree with! That’s why when your size of the room is small or you don’t have requirement of a large-sized air conditioner, choosing a minimal size is advisable to save the energy and of course the power bill! When you buy an air conditioner you must always check for the above-mentioned qualities in them. If they satisfy these criteria then you are good to go with them even if they are a bit costlier. Because it is wise to invest some bucks at the beginning of your investment in the appliance, rather than bearing the brunt of huge electricity bill for the next 10 to 15 years. Moreover, you must also keep in mind that only buying and installing the AC won’t be really helpful in keeping it in a good condition all throughout; the air conditioning maintenance must be done frequently to avoid damages of any kind and to enhance its efficiency in the long run. In case you face any issue with the AC, don’t rush for throwing it out and invest in a new one again. You always have the option of air conditioning repairs till the time the machine permits it. When it dies down entirely, only then you should think of exchanging it or replacing it with a new one; otherwise who likes to have extra budget loads when it can be fixed investing a few bucks? So, when you make your mind to buy a machine that cools you and your house (literally) make sure you look out for these qualities in them. The air conditioning Chelmsford and other AC markets do keep these type of machines and also provide you with the installation and repairs within the warranty period.